The global copper market is facing a looming deficit that is expected to drive prices higher within a few years, a boon for existing operations that is also leading to a new drive in copper-focused mining investment in Latin America and around the world. Challenges abound, including declining ore grades and earning and maintaining a social license to operate, and a lack of construction-ready projects will limit near-term spending to some extent. But as copper prices consolidate, miners will have greater leeway to dust off initiatives that stalled during the low-price cycle and to approach the in-country complications presented by each jurisdiction. 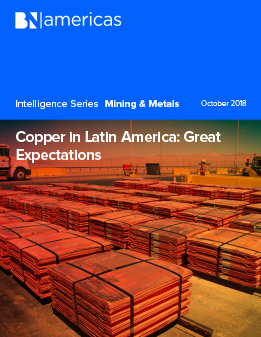 The report also includes data on Latin American copper production trends, an outlook on the copper market, and details of key projects in Chile, Peru, Mexico, Brazil, Argentina, Panama and Ecuador.